Whatever sport you coach, building a successful sports program can be an enormous, sometimes daunting, task filled with many responsibilities and demands. Questions and decisions wait around every corner, often pulling a coach away from long-term considerations. How can you build a program when daily challenges require your attention? In reality, those daily challenges form some of the building blocks and foundations to any program. As a coach, you have the opportunity every day to showcase your critical thinking, creativity, player-management skills, philosophy, integrity, and character with every decision you make. In “Building a Successful High School Sports Program”, former High School Soccer Coach DeAngelo Wiser addresses the fundamentals of building a successful High School program. He covers numerous topic areas including how to choose team players, bringing them together, managing expectations, how to define success, working with administrators and colleagues, tracking progress, dealing with personal adversity, and much more. 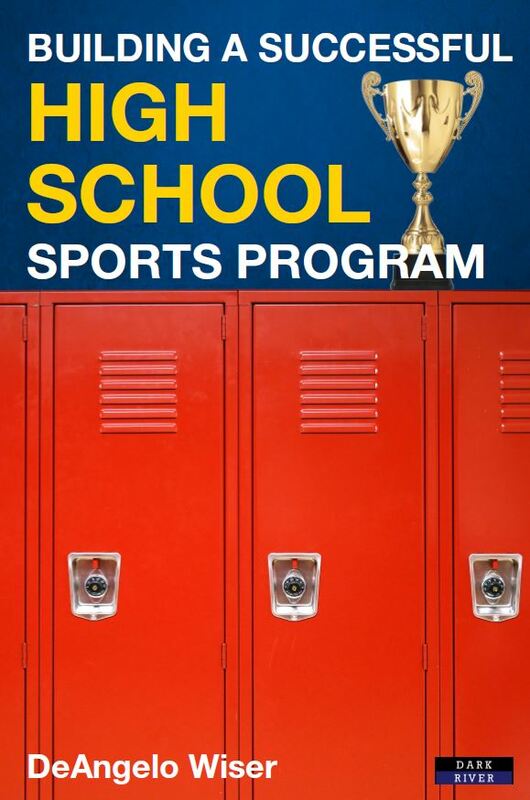 The book also includes contributions from a dozen highly successful High School coaches and Athletic Directors who offer decades of real-world wisdom and high-value advice. The book’s foreword is by one of the world’s leading and most recognizable Sport Psychologists – Bill Beswick. Building a successful program takes patience and determination, but is a journey you’ll never forget. Why Not Build a Program? Can You Coach Any Player? What Are Your Players Searching For? Captains… What do you expect? How Can You Maintain Success? What Are Your Coaching Principles? Coaching Success, What’s Your Definition? Charisma…. Do you have it? Officials, Do You Have Their Respect? Assistant Coaches, What makes them so special? Coach DeAngelo Wiser is a soccer coach with more than 20 years’ experience of working with high school players, during which time he has gathered District and Regional Titles, and Coach of the Year honors. 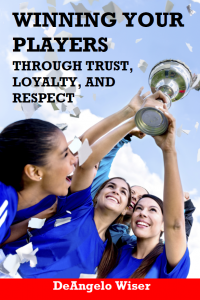 His first title – Winning Your Players through Trust, Loyalty, and Respect: A Soccer Coach’s Guide has become an internationally acclaimed book. Bill Beswick, Molly Grishman, Dave Barney, Jody Hamilton, Jean Kesterson, Aaron Ocampo, Mike Bowlin, Karen Vanover, Cy Tucker, Bob Koski, Daniel Sandlin, and Kevin Wright. I have worked with hundreds of coaches over the years, and there is no doubt that Coach DeAngelo Wiser is in a very elite class of coaches who understand the true value of sport. Coach Wiser’s teams are not only well-coached in the sport of soccer, but his athletes are also highly motivated. Using a people-building methodology, Coach Wiser teaches his teams all of the important values inherent in sport – teamwork, character, discipline, and positivity – just to name a few. I’ve been involved in athletics for 27 years and have never been around someone that truly understood athletics and life in a way that Coach Wiser has shown me. One of the greatest gifts as a coach is to know that your players leave your program better people. Getting the chance as an athletic director to work with him, and getting to know him on a personal level, he has changed the way I look at life and how I approach athletics. One of my favorite quotes is “Let someone else praise you and not your own mouth, a stranger, and not your own lips.” Coach Wiser is one of the most humble coaches and would go out of his way to make sure you received recognition over him. He is one of a kind and in my eyes he is our John Wooden. I was blessed to work with Coach Wiser for seven years in a classroom setting. He always had a plan and could see the big picture at all times. His coaching wisdom, ability to motivate people, calm demeanor, and thoughtfulness were displayed every day. His common message was the right decision is not always easy and the easy decision is not always right. I am a much better coach, person and teacher for having spent part of my career with him. I am forever grateful for our time together. As superintendent of Jessamine County Schools for nine years, I had the privilege of working with hundreds of coaches – most of whom were exceptional men and women who loved their athletes and their sport. DeAngelo Wiser stands out among that elite group as a leader and a standard-bearer. The words that come to mind when I think of Coach Wiser are humble, kind, and devoted. He is a man of character known for his integrity and commitment to his athletes above self and status. He was a celebrated coach, but, more importantly, he was a role model for his players, their families, and his colleagues. Coach Wiser’s commitment and passion for his players to excel not only on the field but also in the classroom was evident from my first conversation with him. Coach Wiser is truly a “players’ coach.” His knowledge of the game and manner in which he coaches is truly a classroom on grass. There is constant reinforcement and enthusiasm challenging each player to improve daily. DeAngelo Wiser is a role model for those who aspire to be a head coach in any sport. Book Categories: DeAngelo Wiser, Soccer Coaching Books and Sport.